Lost Castle by Another Indie is one of the indie games that we were actually invited to try out at Indie Arena before the start of ESGS so were pretty excited check it out. The game is a roguelike dungeon crawler that is reminiscent of both Castle Crashers and Binding of Isaac. It features cutesy 2D art, two player co-op, and randomized dungeons, items, enemies, and boss fights. According to the developers, there are currently over two hundred items available in the game with over 70 kinds of consumables, more than 50 types of potions, 100+ weapons, and 50+ sets of armor. There are not character types or races, the characters’ special attacks and skills are dependent on the current weapon they are using so their variety is quite large as well. The twist of Lost Castle that makes it different from other roguelikes is its character progression system, introduction of permadeath, and how the two work together. Character progression in the game is based on passive upgrades you can purchase for your character by gaining points from killing enemies. While the passive upgrades you’ve purchased will roll over to your next character, all your unspent points will be lost at the moment of your death. The combination of the game’s cutesy art and challenging difficulty, due to its character progression and permadeath mechanic, provides quite a contrast in the game’s feel. The randomized dungeons, monsters, and items make the game always seem new and fresh but unless the developers continually pump out more content, it may come to a point where the randomization reaches it limit and things start becoming redundant or repetitive. 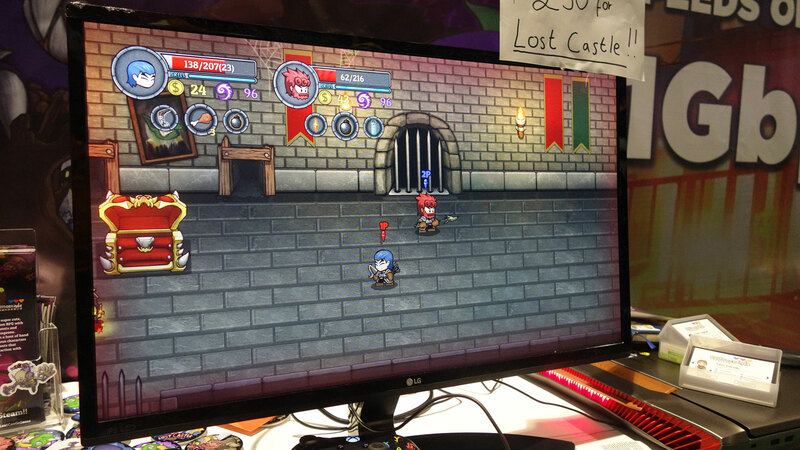 Lost Castle is definitely work checking out if you’re a fan of roguelikes and similar types of games. It is currently available on Steam for only PHP319.95, a pretty cheap price for a game that will most definitely give at least a few hours of fun and excitement whether in solo play or co-op.